Downtown Boise is home to mix of mid-rise and high-rise condominium communities, including the Aspen Lofts, Jefferson Condos, Afton Lofts, and more. 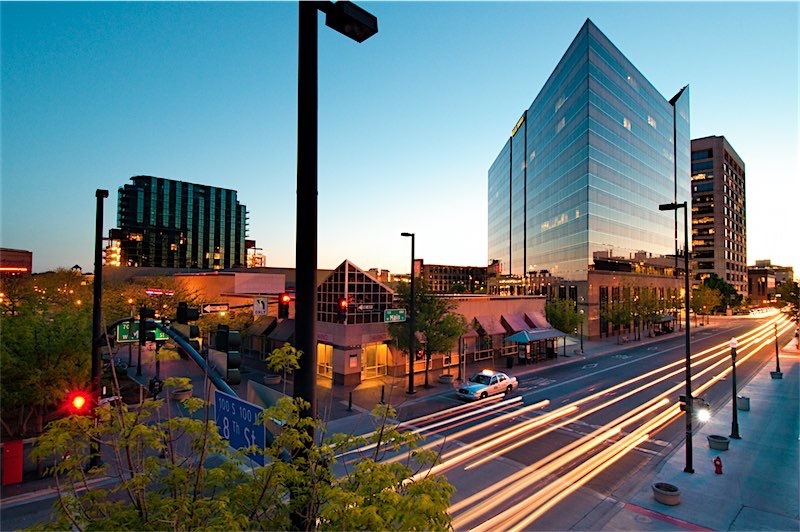 Most of Downtown Boise’s condominium communities are a short walk to myriad excellent restaurants, offering a wide bandwidth of dining options, from the laid back bar & grill vibe to upscale fine dining at Chandler’s and Ruth’s Chris Steak House. 8th Street from BoDo to Idaho Street is a popular pedestrian zone supporting a number of shops and vibrant nightlife. Downtown Boise is also the city’s cultural center and home to many small businesses. Some notable attractions include The Basque Block (between Capitol Boulevard and 6th Street on Grove), the Idaho State Capitol, Egyptian Theatre, Julia Davis Park, Boise Art Museum, and Zoo Boise. Downtown Boise hosts a number of cultural events including Alive after Five, First Thursday, Saturday Market, and the annual Twilight Criterium.